Steeping tea. In a Gravy Boat? A recommendation for an actual tea pot. I had never heard of anything like it! So creative! So unusual! And just a little bit odd, but in a good way. I believe I steered her in the right direction. We have a few nice options for steeping tea. The first being the fabulous iPot. Comes in many colors and 3 sizes. We carry the 17oz and 24oz. The larger of the two seems to be moving off the shelves pretty quick. We also have the Universal Infuser and the Ceramic Mug with Infuser. Both great investments. Now and again we carry the Globe British Tea pot, but they aren’t easy to find. They are classic. I happen to believe that investing in a good pot and/or infuser is really worth it if you are a true tea lover. Part of the fun and delight is not just the liquid, but what the liquid is held by. I haven’t counted how many pots I personally have collected over the years, but I know its quite a bit. They are hidden all over my house and sometimes I’ll open a cabinet and be joyfully surprised that I forgot I had that particular one. Whats not to love about a teapot?? 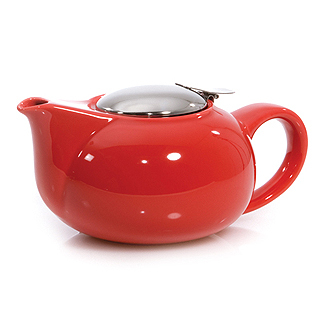 If you have a teapot you love, send us a picture and we’ll post it on the blog! What a weekend. What a week leading up to the weekend of November 8/9. We are still officially… exhausted. Thank goodness for Elizabeth Arden’s Red Door Salon and hot stone massages which is where I was on Monday, after the show. 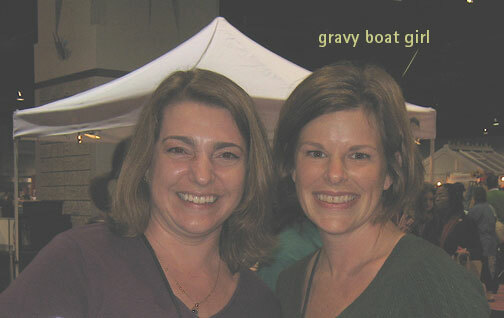 As many of you already know, we had a booth (#910) at the Washington DC Metro Food & Entertaining Show on November 8th and 9th. I was also a key speaker on tea. 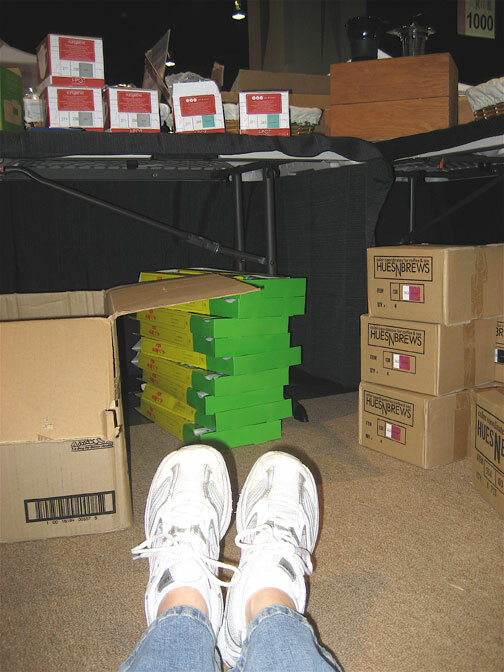 With less than two weeks to prepare, we scrambled to try to get our booth together. The average nights sleep? 3 hours. Was it worth it? Absolutely. We met some many great people! We arrived on Friday afternoon to begin set up. What we encountered was a fabulously placed booth (across from Beer, Wine & Spirits) with way too much pink decor. The entire show was outfitted in pink and white. Ordinarily I like pink, but for our booth it just didn’t work with our colors: orange, white and black. Something had to be done. Luckily, I had black fabric that we ended up draping over as much of the pink as we could. It took us about 4 hours to get everything set up and we still needed to return early in the morning to put the finishing touches on the booth. We had 4 people in the booth: Tim, Timmy, David and myself. David represented Smith & Hawken, our sponsor for the show and for an upcoming Tea Tasting and Seminar called: “Tea in the Garden: Understanding Orchids and Orchid Oolong Tea.” We all were focused and completely TeaCentric. 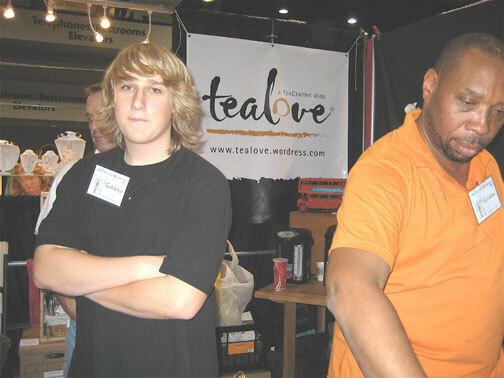 Timmy, who is 15, was our number one tea salesman. He was working that booth like a pro! Saturday began at 8am for us with the show opening at 10am. Crowds and crowds of people rushed through the convention center doors to sample gourmet foods, wine, spirits and of course, TEA. It was nonstop until the doors closed at 7pm. 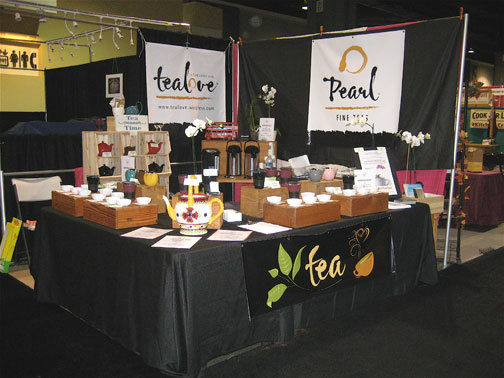 We had waves of people at our booth clamoring for our loose leaf tea. By 2pm we were sold out of our newest creativiTEA blend: Counting Sheep. We had people ordering off the website which was on back order as of Sunday. Luckily a new shipment arrived late today! Seemed that Chai Chai Christy (a rooibos based chai) was a big hit as well. Actually most of our rooibos based teas were moving along quite well. 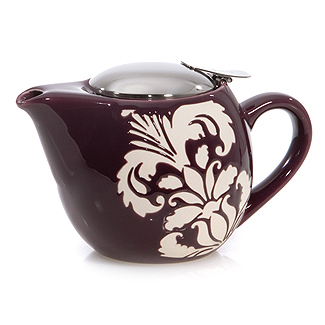 We almost completely sold out of our new tea pots! The 24 oz versions seem to be a favorite size. The hot colors for this fall seem to be: Eggplant, Damask, Scarlet, Ocean Blue, Pistachio and Ballet Pink! We came home with only a few colors: cocoa and gray! Our London Pottery Globe Tea pots were a big hit too and many Brits found there way to our booth and scoooped up all but 3 of these authentic English style pots. Our famous tea pillow cases caused quite a stir with people buying 2 and 3 packs at a time. I just knew this little japanese invention would be worthwhile. I dont leave home without my tea pillow cases!